All kinds of insurance are available to consumers and whether its car-, life- or home insurance, it will protect consumers when things such as loss or damage occur. Here we will have a look at one of South Africa’s largest financial service providers in this Metropolitan review. When you’re looking to invest in insurance, you’ve got lots of choices, and it will pay to do research and to compare the different insurance providers. 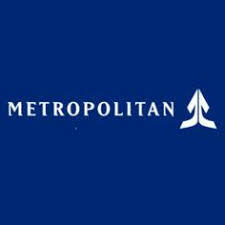 You’ll find that Metropolitan Holdings is one of these that are worth having a look at. Metropolitan is one of South Africa’s largest financial services companies. They essentially serve the lower- and middle-income market in Southern Africa. One of the most recent South African Customer Satisfaction Index’s for life insurance tells us that customers are the most satisfied with Metropolitan’s offerings. With more than a century in the market, Metropolitan believes in empowering their customers to confidently shape their financial future. They offer a range of insurance and investment products. They provide asset management services, managed healthcare and medical scheme administration. Metropolitan and Momentum merged to become known as MMI Holdings. This combination has strengthened the company’s position as one of the leading cost-driven insurance providers in the market and further developed the brand in terms of confidence. You’ll have enough cover to keep your family financially secure. Life cover takes care of accidental- and natural death. If you pay all of your premiums, after 5 years you can get 10% of your premiums back with the CashBack benefit. This is cover that will pay out lump sums to those people left behind after your death. Through these life products, you can be sure your loved ones will lead a decent life once you’re gone. For less than R40 a month you can look at the Metropolitan Funeral Plan and accompanying benefits. You can get some interesting benefits that complement the basic funeral insurance. You can cover up to 20 family members and also get cover from R5 000 to R50 000. Under the Metropolitan Life Cover umbrella, there are many life cover products for you to compare before you buy. Imagine if your ability to earn were removed from you because of a critical illness. How terrible if your family was left destitute. Metropolitan offers tailor-made solutions that will help you benefit from financial security if you unable to work. Cover starts from R150 000 and there is a limit of up to R5 000 000 for occupational disability and R1 500 000 for critical illness. A hospital stay can bring about huge financial strain. Save yourself the stress of a stint in hospital with Metropolitan’s HealthCare CashBack solution. With this CashBack cover, you can get a daily cash benefit amount of up to R3000 every day. We’re living in troublesome times where nobody knows what tomorrow might bring. Certainly, nothing is constant and our health, our jobs, and our possessions can all undergo changes in the twinkling of an eye. One day you’re riding the wave of happiness and success and the next there are dark clouds on the horizon that threaten to turn your world upside down. Everything is risk-prone, but with insurance from Metropolitan, you can at least drastically minimize the risk.